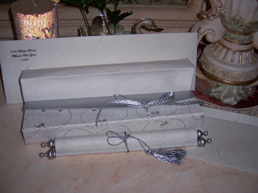 A scroll invitation, which would make the most coveted of connoisseurs give out a sigh. 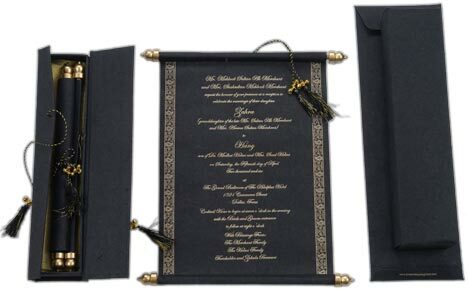 It�s the most amazing box scroll card you will ever behold. 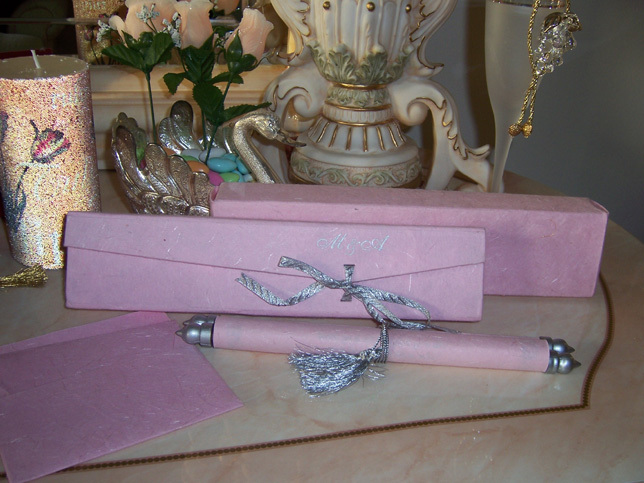 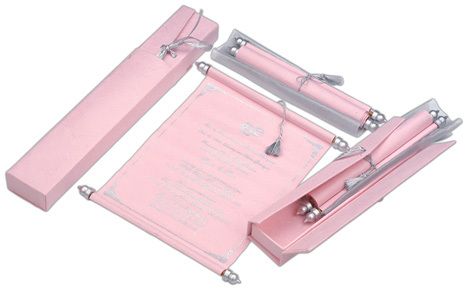 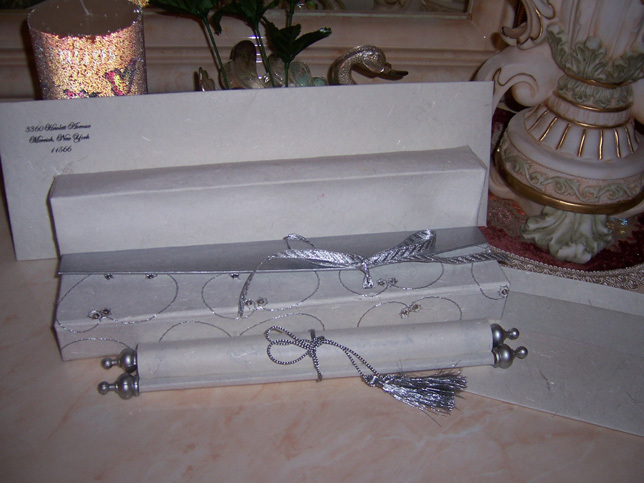 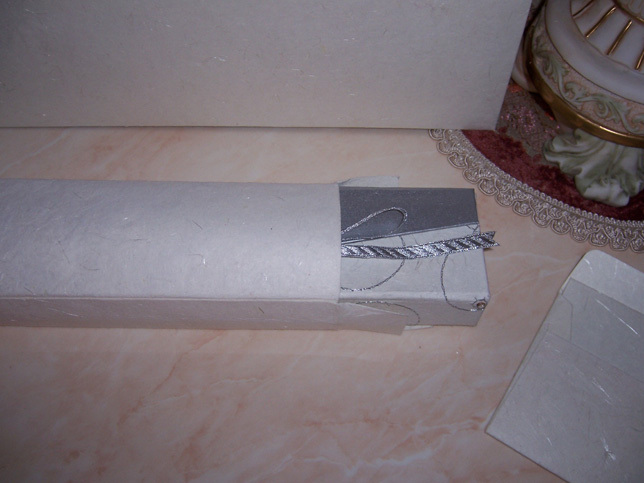 The scroll invitation itself comes in a variety of papers and textures, plus you can mix and match other invitations. 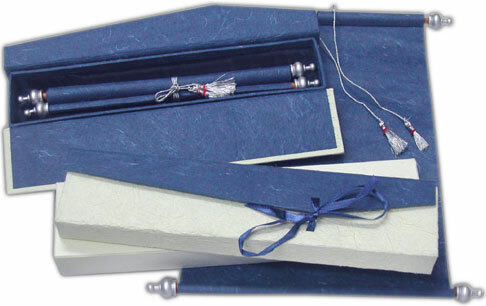 The scroll is tied with a matching tassel. 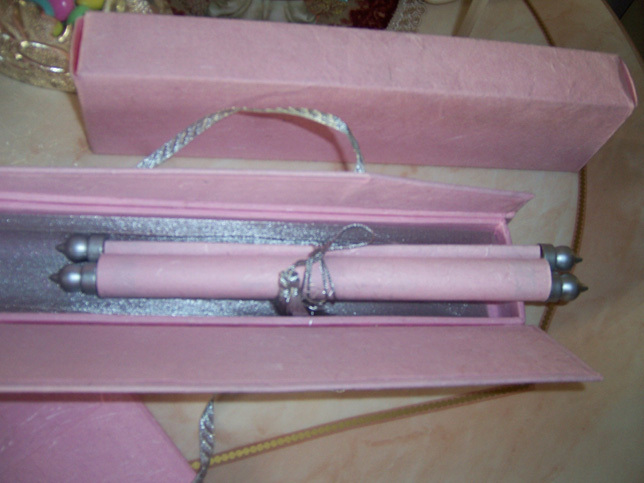 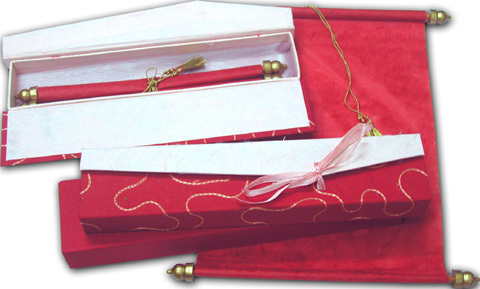 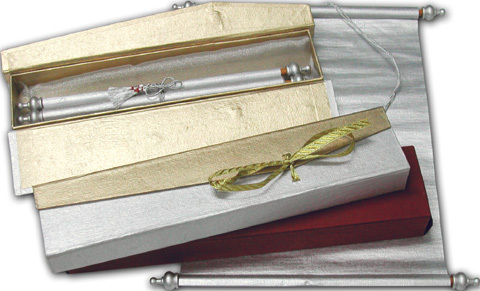 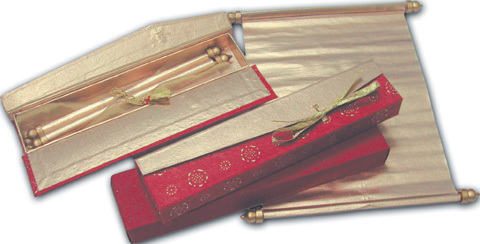 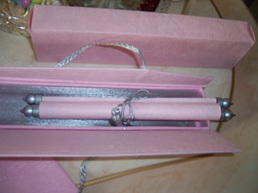 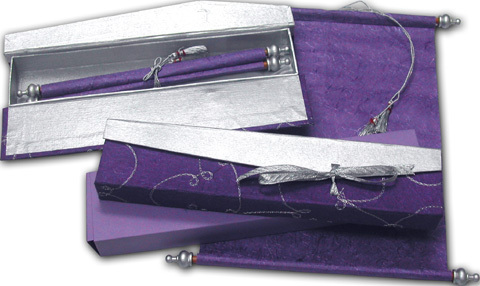 The farmaan scroll card is placed above a satin gauze cloth and is encased in a beautifully designed box container. 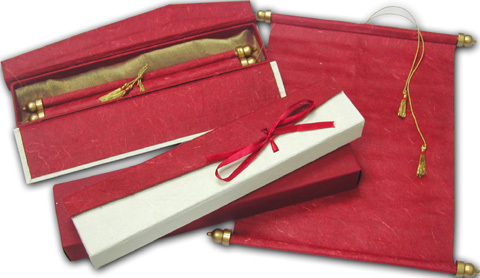 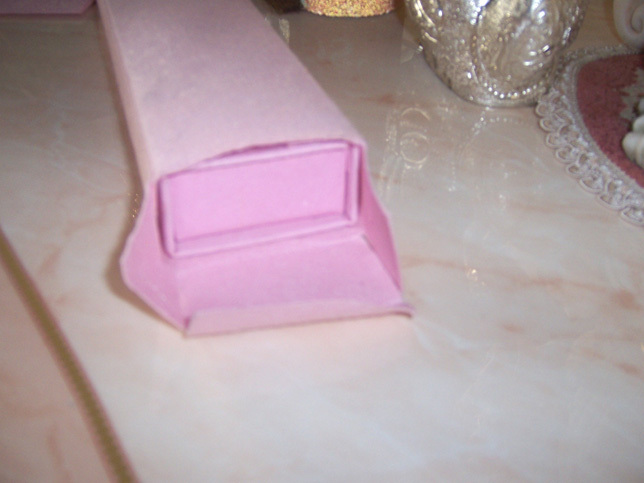 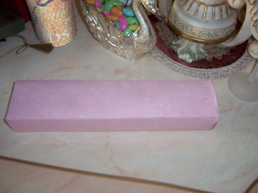 The box can be made from a variety of papers, such as silk handmade paper, and the box case can be plain or have embossing work done on it. 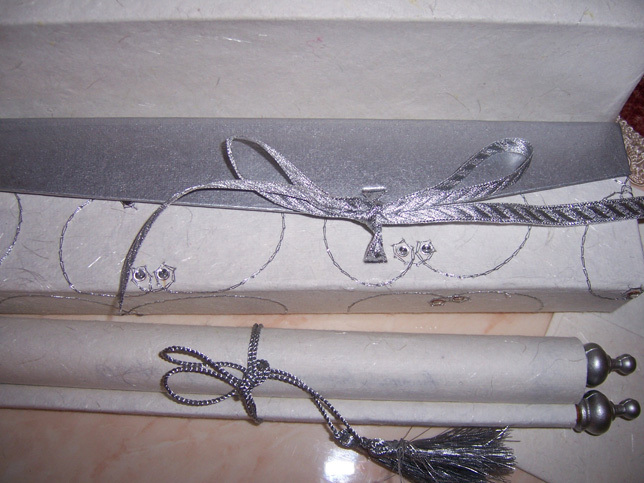 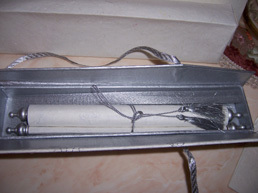 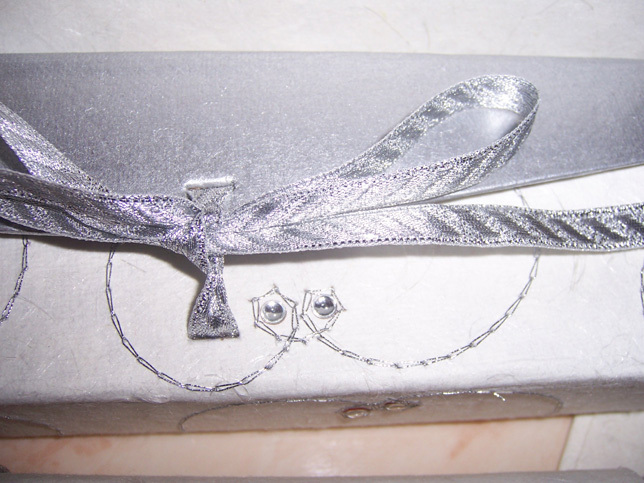 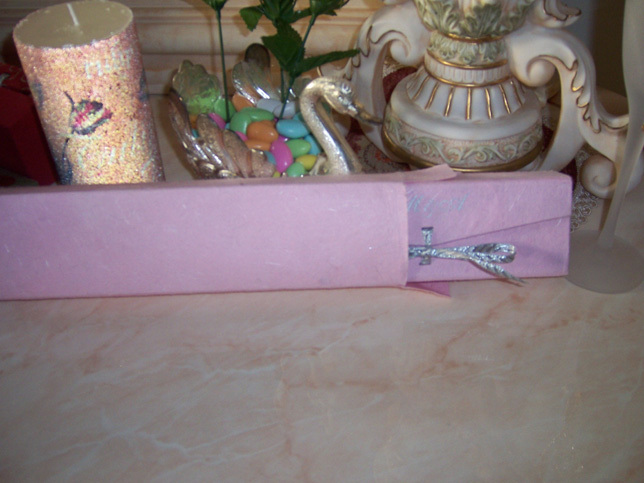 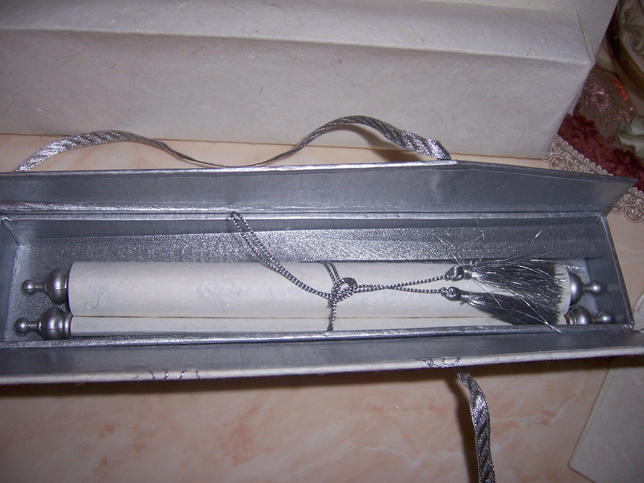 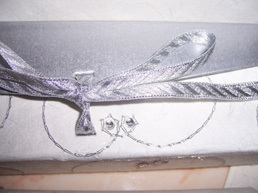 The box is tied with a matching ribbon. 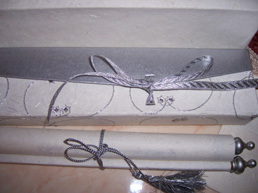 This invitation has a matching separate mailer box (shown underneath the scroll box on the photos). Now, see the full collection of colors below....Each invitation can be customized to your needs. 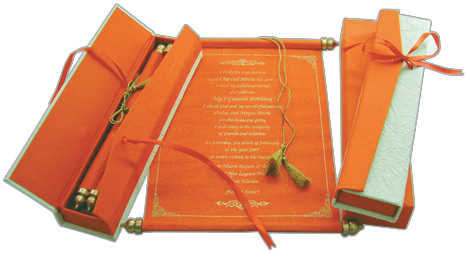 We have many symbols and borders that you can choose to print for free. 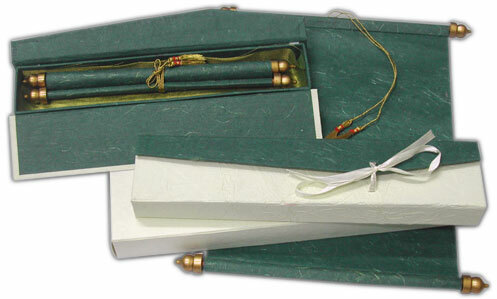 Or, if you wish to mix and match colors of scrolls, boxes, scroll bars, tassels, etc - just ask!